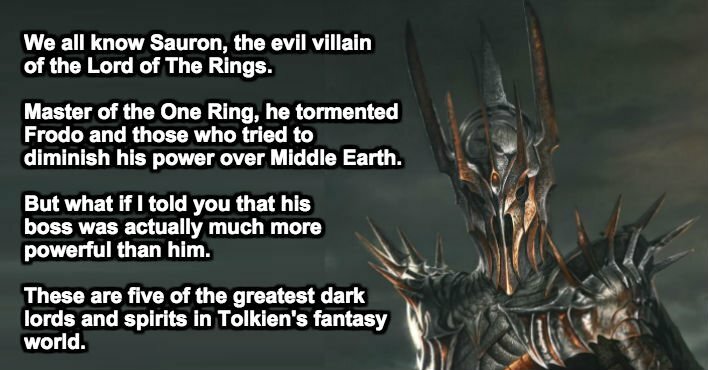 We all know Sauron, The evil villain of the Lord of the Rings. Master of the One Ring, he tormented Frodo and those who tried to diminish his power over Middle Earth. But what if I told you that his boss was actually much more powerful than him. These are five of the greatest dark lords and spirits in Tolkien’s fantasy world. Size: He’s the Middle-earth equivalent of a god, so whatever he’s feeling that day. Notable Deeds: The creation of all evil and discord. Literally every bad thing that happens in the world can be traced back to him. He is Satan and Pandora’s box and Loki all rolled into one. Fate: Got his feet chopped off and the rest of him thrown into the Timeless Void. 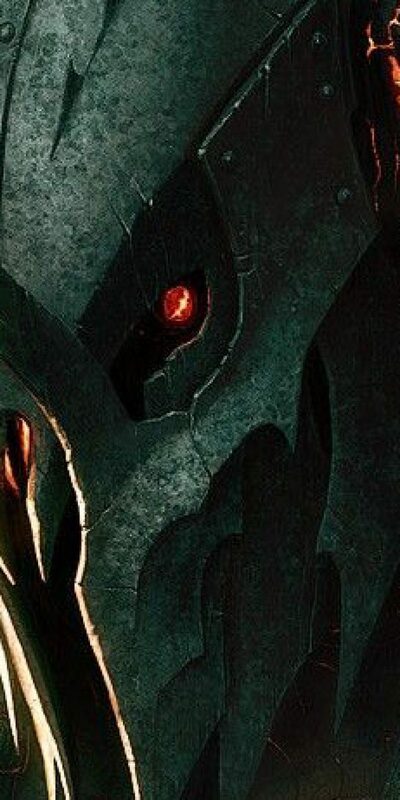 Fun Fact: Sauron, the big bad in the Lord of the Rings, was his lackey and heir. Size: Ginormous. I didn’t realize that was a real word. I was fully expecting that word to be red-lined. Notable Deeds: Gave birth to all of the giant spiders, such as Shelob, who almost killed Frodo, and those seen in the Mirkwood. Her origins are unclear, and she may have just been born of the darkness. She hated the light, but also loved to eat it. Her most foul deed is when, on the orders of Morgoth, she drained the Two Trees of Valinor (what amounts to the sun and the moon), forever sullying the light that they gave off. Fate: Might have eaten herself in her insatiable hunger, but it is unclear. Fun Fact: Almost killed Morgoth when he wouldn’t let her eat the Silmarils. He was saved at the last moment when his cries were heard by his army of Balrogs, who flew in and saved him. Size: About 20 feet of flame-wreathed evil. Notable Deeds: Slew the High King of Noldor and captured Hurin, father of Turin, the guy who slew Glaurung. Fate: While fighting a duel, Gothmog disarmed this dude named Ecthelion. Rather than flee, Ecthelion headbutted Gothmog with his pointy helmet, knocking them both into a magical fountain. Ecthelion drowned and Gothmog’s flames were extinguished (which apparently kills him: better watch out for rain). 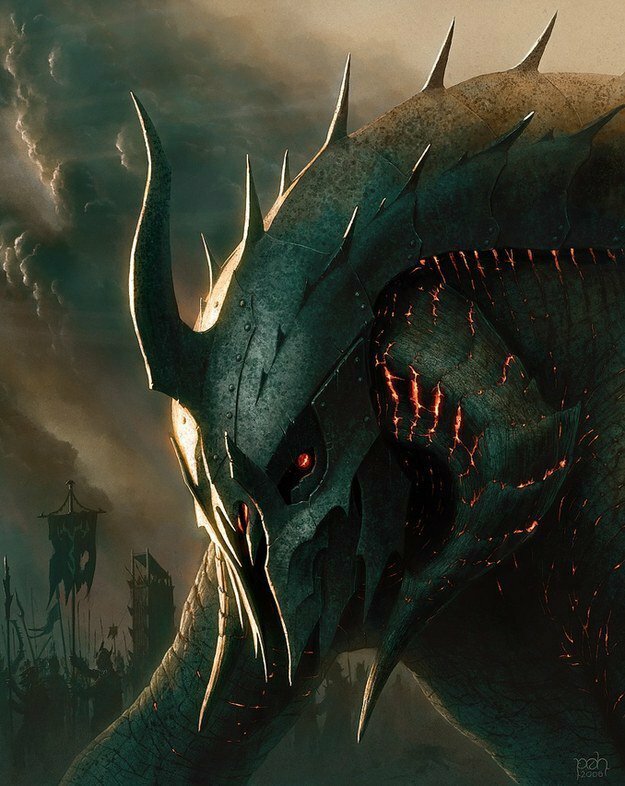 Fun Fact: Not to be confused with Gothmog, the general of Sauron’s armies at The Battle of Pelennor Fields. You know, the guy with the lumpy face, stunted arm, and giant stones. Notable Deeds: The first of the fire-breathing dragons, he wreaked havoc across Middle-earth. His first foray from the breeding pits of Morgoth was just childish rebellion, but ravaged the plains of Ard-galen. 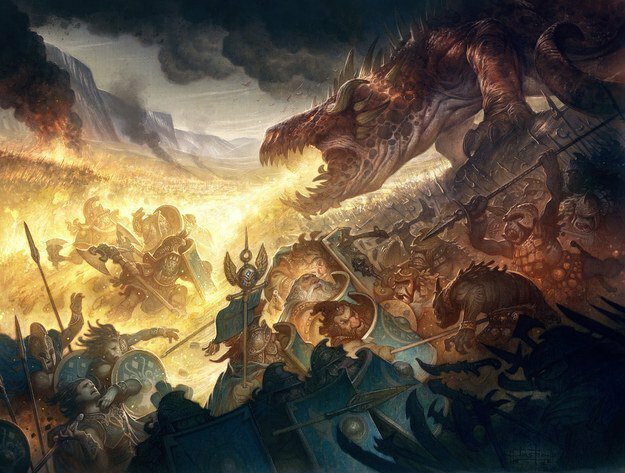 He destroyed numerous armies and cities as a lieutenant in Morgoth’s army, and fathered an army of dragons, and was the primary antagonist during the events in The Children of Hurin. Fate: Stabbed with a magical sword. Notable Deeds: Was the greatest dragon of all time, and could blot out the sun from miles and miles away. He led Morgoth’s winged dragons during the War of Wrath and drove back the greatest alliance of the Free Peoples of any age. Fate: Killed by a bunch of eagles and one of Arwen’s ancestors, Earendil. It is unknown how he did it, as Ancalagon is REALLY, REALLY BIG. Fun Fact: I still don’t think everyone understands how big Tolkien envisioned him. 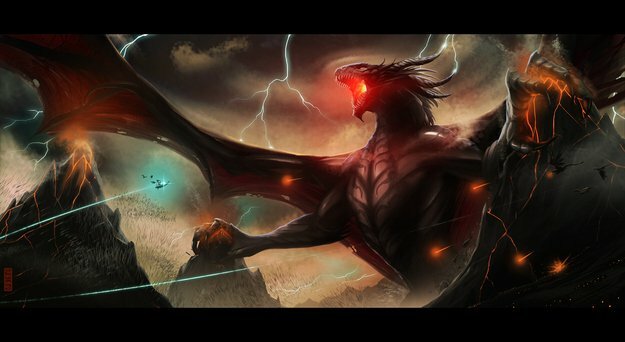 When Ancalagon was killed and fell from the sky, his bulk broke a volcanic mountain range, which set off a chain reaction that destroyed the northwestern portion of Middle-earth. 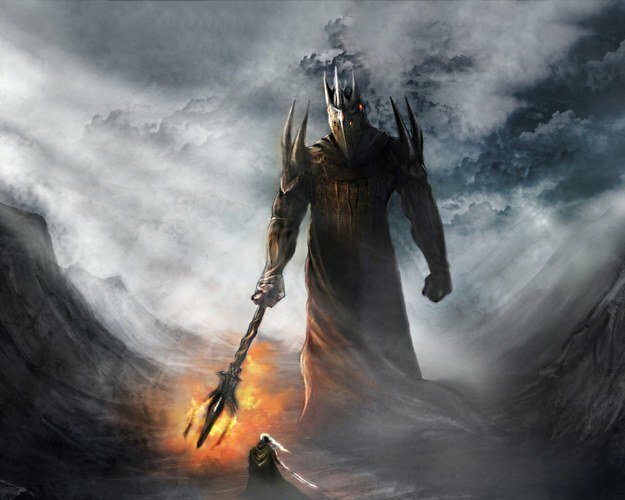 5 Tolkien Villains Too Intense For The Big Screen Reviewed by DR Ravenholm on September 16, 2016 .